On Tuesday, 24th September Nobel Laureate Professor Muhammad Yunus took part in a stimulating discussion with UN Secretary General Ban Ki Moon at the MDG Innovation Forum in New York at United Nations Secretariat Building. UN Secretary General invited leaders from the private and public sectors and demonstrate ways to accelerate progress on the MDGs. The goal of the MDG Advocate-led Innovation Forum is to catalyze connections to accelerate progress on the MDGs. The MDG advocates are a special group of eminent persons who have each shown outstanding leadership in promoting and working toward MDG achievement. In June 2010, UN Secretary-General Ban Ki-moon launched the MDG Advocacy Group to support him in building political will, rallying additional support, and spurring collective action to achieve the MDGs by 2015. The MDG advocacy group has currently a total of 17 members under the chairmanship of Paul Kagame, President of Rwanda including Nobel Laureate Professor Muhammad Yunus, HHS Sheikha Moza, First Lady of Qatar, Mukesh Ambani,Chairman of Reliance Industries (India), Graça Machel, Former First Lady of South Africa and Ted Turner, founder of CNN. The Forum showcased four high-impact projects including one presented by Professor Yunus meant to help advance traditional philanthropy in the direction of smart targeted investments and creative partnerships, with a specific goal of garnering new commitments to aid in their implementation. Mr. Ban Ki Moon opened the Forum. Nobel Laureate Prof. Muhammad Yunus, Dr. Mary Joy Pigozzi on behalf of Her Highness Sheikha Moza, Mr. Ray Chambers and Professor Jeffrey Sachs made the presentations on high impact projects. Professor Muhammad Yunus presentation focused on expanding Social Business globally towards achieving the target of MDGs in the field of education, healthcare and food security. Other MDG Advocates and industry leaders provided constructive feedback on the presentations which helped them to interact with the speakers and explored the new ideas of collaboration. Professor Muhammad Yunus also participated in Clinton Global Initiative (CGI) at a special session “Advancing Progress: Investing in Healthy and Educated Girls and Women”. This session was moderated by Sanjay Gupta of CNN. Nobel Laureate Professor Muhammad Yunus, Her Majesty Queen Rania of Jordan, Hillary Rodham Clinton, Former Secretary of State, Melinda Gates of the Bill & Melinda Gates Foundation were the participants of this session which highlighted specific approaches to enable girls and women worldwide to learn, earn, thrive, and control their own destinies. Professor Muhammad Yunus spoke about Social Business and highlighted experience of the Grameen Nursing college in transforming the lives of the girls in Bangladesh. As a Commissioner of the Broadband Commission, Professor Muhammad Yunus attended the 6th Annual Meeting of the Broadband Commission on Friday. On the sidelines of that meeting, he attended a signing ceremony of an MOU between Grameen Intel Social Business in Bangladesh with the government of the Republic of Macedonia to bring technology solutions for agriculture communities in Macedonia. This was a technology of soil testing developed in Bangladesh which will be applied in Macedonia by Grameen Intel. Earlier, Professor Muhammad Yunus also participated as keynote speaker at the UN Global Compact Summit 2013 that was held from 19-20 September 2013 at the Grand Hyatt Hotel in New York. Chaired by UN Secretary-General Ban Ki-moon, the UN Global Compact Leaders Summit 2013 brought together chief executives with leaders from civil society, Government and the United Nations to unveil a new global architecture for corporate sustainability.  The summit was inaugurated by UN General Secretary Ban Ki Moon. Nobel Laureate Dr. Muhammad Yunus delivered key note speech on “How Can Corporations Create Social Businesses to Address Pressing Social Problems” at the inaugural dinner. H.M. Queen Mathilde of Belgium, H.E. Izabella Teixeira, Environment Minister of Brazil were also participated in this session.